There are few things more valuable to an organisation than an effective career coach. 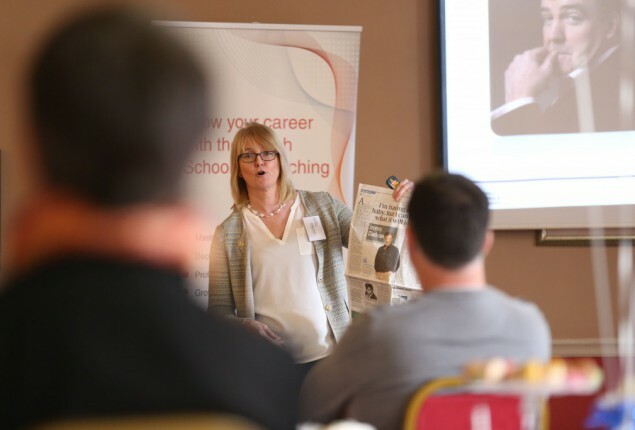 BSC recognise the importance of this and have developed this specialist CPD course for coaches in, or wishing to move into, this role or for individuals who would like to provide career coaching on a freelance basis. This is a 2 day ILM Endorsed programme that aims to use executive career coaching skills in the context of career issues. Learners will build on their skills and techniques to provide effective career coaching and counselling. This is a very practical, skills based programme that is underpinned by knowledge and understanding. Following the workshop days learners are to complete a coaching diary assignment based on real life career coaching sessions. This is a unique opportunity to gain recognition through ILM Endorsed certification. Would like to build on your existing skill-set and help develop your colleagues through career coaching. Shelagh has over 25 years’ experience as a human resource development professional having worked in local government, the criminal justice sector and more recently the National Health Service. She has been instrumental in the development of HR strategy, organisational development, leadership development, talent management and the delivery of training and education, nationally and internationally. She is an executive coach and has specialised as a career coach with a wide range of clients in the public and private sector. Shelagh has operated at board level having been a member of Skills for Justice, and is a member of the CIPD membership and CPD committee. She is also a member of the Career Development Institute, the European Mentoring and Coaching Council and the Institute of Directors. Applying is easy for this 2 day course– either click ‘book now’ above which will take you to our Eventbrite page, or contact the office who will be able to tell you more about the course and take your details over the phone.